Product prices and availability are accurate as of 2019-04-17 02:24:45 UTC and are subject to change. Any price and availability information displayed on http://www.amazon.com/ at the time of purchase will apply to the purchase of this product. 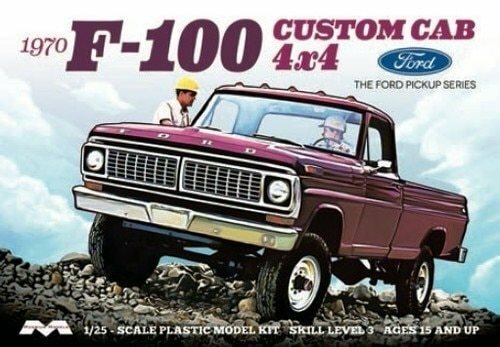 modelcars is pleased to offer this 1/25 Moebius Models 1970 Ford F-100 Custom Cab 4X4 Pickup Truck (Kit) - 1230 by Moebius Models. 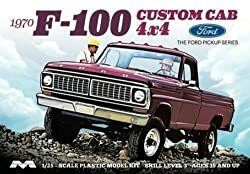 Check out this detailed 1/25 Moebius Models 1970 Ford F-100 Custom Cab 4X4 Pickup Truck (Kit) - 1230 made by Moebius Models and carried by ModelCars.us. This well reviewed model is currently in stock - purchase securely and safely through us today.